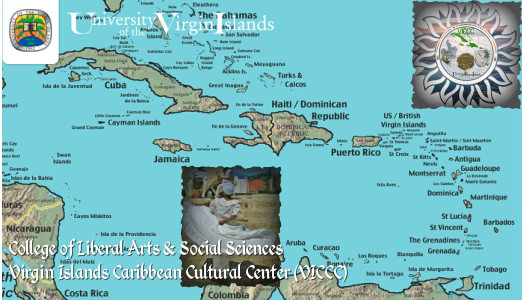 The Virgin Islands Caribbean Cultural Center (VICCC) is nestled within the College of Liberal Arts and Social Sciences (CLASS) at the University of the Virgin Islands (UVI). VICCC is integrated and complementary to the academic and intellectual pursuits of the University’s Strategic Plan 2017—Pathways to Greatness. With visionary leadership of UVI President Dr. David Hall, the work and course initiatives of the late UVI Professor Dr. Gene K. Emanuel, and many other UVI scholars, UVI students, Caribbean cultural tradition keepers along with members of the VI and Caribbean community, the VICCC was officially launched in November 2012. 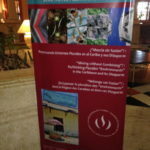 VICCC supports the “Historically American, Uniquely Caribbean, Globally Interactive” academy, infrastructure and extracurricular visions of UVI while sustaining and nurturing educational engagement and networking on Virgin Islands and Caribbean cultural heritage, traditions, narratives and more. 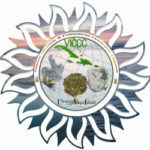 VICCC is designated to produce, develop and institute state-of-the-art research, publications, mixed media networks and programs, regional and international conferences, collaborative initiatives, academic and community partnerships, interdisciplinary cultural exchanges, socioeconomic development and heritage tourism events, educational resources and more. With endorsements from the University’s Foundation (FUVI), Board of Trustees & Administration complemented with increasing regional and international interest and support, VICCC is successfully journeying forward into being a premiere beacon and cultural center for UVI, the VI, the Caribbean & beyond. During the inaugural symposium facilitated by UVI CLASS on VI and Caribbean Issues hosted at UVI’s Albert Sheen Campus on St. Croix in September 2012, UVI President Dr. David Hall stated: “The University of the Virgin Islands (UVI) is deeply and authentically committed to ensuring that the unique cultures and heritages of the U.S. Virgin Islands and the wider Caribbean are researched, compiled, cultivated and disseminated broadly. This should always be a core responsibility of a University situated within a social and cultural context as UVI.” VICCC is designed as a complementary and cooperative asset to UVI’s academic, extracurricular, entrepreneurial, community outreach and public services regionally, nationally and internationally. View excerpts of the September 2012 UVI CLASS Symposium at http://youtu.be/LiWsKN7FeWY . The Virgin Islands Caribbean Cultural Center (VICCC) is one of the newest centers within the University of the Virgin Islands’ (UVI) College of Liberal Arts and Social Sciences (CLASS). VICCC looks forward to your resourceful support, suggestions and active participation in future events, projects, workshops, lectures, festivals, brain trusts, symposia, funded research exchanges, seminars and other development initiatives being hosted, collaboratively organized and facilitated in 2013 and beyond. Resources in the form of grants, foundation contributions and philanthropic donations are researched, facilitated and managed with the guidance of faculty of the College of Liberal Arts and Social Sciences http://www.uvi. edu/academics/lib-arts-and-sciences/default.aspx , Institutional Advancement http://www.uvi.edu/administration/institutional-advancement/default.aspx and Sponsored Programs http://www.uvi.edu/research/sponsored-programs-and-title-iii/default.aspx. Arrangements to provide contributions for VICCC programs, events, research and initiatives are welcomed and essential for the continuation of VICCC programs, operations and initiatives. Schedule an appointment to communicate your interests or to request more information. In light of your interest, curiosity, engagement, research, leadership or support of cultural educational scholarship, historic preservation, entrepreneurship, workforce development, sustainable community development, heritage restoration and related areas linked to VI and Caribbean culture, here is a link to receive a complimentary digital version of the VICCC’s inaugural publication released in January 2013 entitled “Ideas and Issues of Virgin Islands and Caribbean Culture” View it at: http://freepdfhosting.com/05d437f4c7.pdf. Please complete and submit the survey below after you have reviewed and read the VICCC Journal 2013 Volume 1 Issue 1. 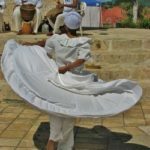 Keep Culture ALIVE!